Detailed dragons encircle the handle, folding out to form an extra-wide four-pointed guard. 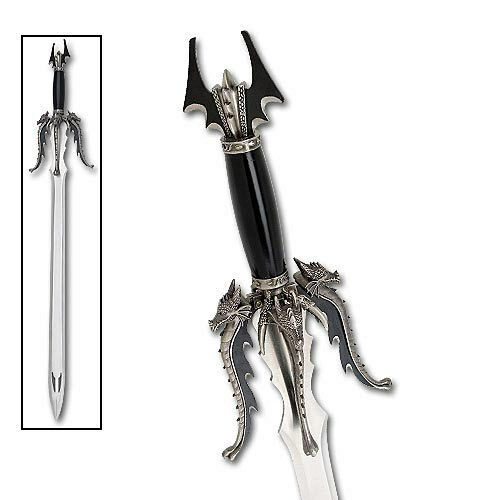 Features a 30 3/8" stainless steel blade with cross-pointed tip. The tip is cut with intricate designs. 38 1/8" overall.